ACLU stop-and-frisk settlement requires many changes by Milwaukee Police Department. 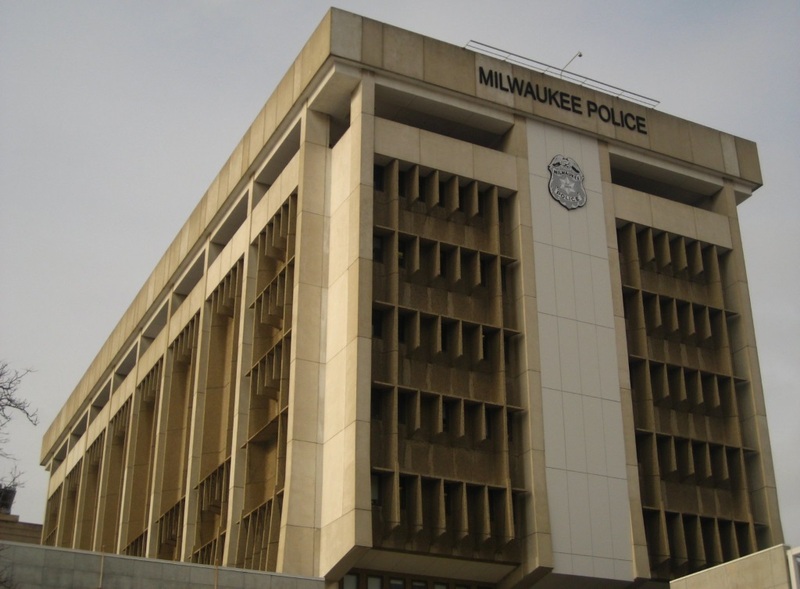 Information about Milwaukee Police Department stops, frisks, and searches will be publicly reported each year, while the civilian complaint process will be overhauled to ensure complaints are seriously considered, under a settlement reached in a federal court case challenging the constitutionality of MPD’s stop and frisk practices. The city also will be required to hire an independent consultant to determine if the city, the Police Department, and the Fire and Police Commission are complying with the settlement and making appropriate progress in correcting unlawful stops. Combined, the provisions of the settlementare intended to “begin to change…the culture, the behavior” of officers, said Karyn Rotker, senior staff attorney for the ACLU of Wisconsin. The ACLU of Wisconsin, along with the American Civil Liberties Union and the Covington & Burling law firm, brought the class action lawsuit on behalf of African-American and Latinx residents who challenged the constitutionality of MPD’s traffic and pedestrian stops and alleged they were racially biased. The ACLU said traffic and pedestrian stop rates in Milwaukee were more than six times higher for black people than white people. The disparity was found after controlling for crime rates and other factors that can influence stop rates. Searches of black and Latinx drivers were more than 20 percent less likely to lead to the discovery of drugs than searches of white drivers, the ACLU said in a statement. Between 2010 and 2017, according to the civil rights organization, MPD conducted more than 350,000 pedestrian and traffic stops for which they have no record of reasonable suspicion of criminal activity or a traffic or vehicle equipment violation, as required by the Fourth Amendment, according to the ACLU. The settlement, already approved by the Common Council, will make public far more information about MPD stop and frisks than is currently available or even is consistently collected. “There was an extremely high rate for non-completion” of reports related to traffic and pedestrian stops, Rotker said in an interview. In addition, information was entered into two different databases, depending on whether the stop was a pedestrian or vehicular. Under the settlement, the department will be required to, first, collect detailed information about each stop, including demographic information about the subject; location of the stop; the legal basis for the stop; whether a frisk was conducted; whether any contraband was found; whether the officer(s) used force; and whether officers took any action, such as making an arrest or issuing a ticket. The Fire and Police Commission will publish a report on the information annually. The requirements should “show the public they’re (police) eliminating unconstitutional stop and frisks,” Rotker said. Second, officers who fail to fully document their stops or who do not properly make stops will be subject to counseling, training, retraining or discipline, she said. Third, the changes will require training of complaint investigators “to not attack or blow off the complainant,” she said. Some individual plaintiffs in the case did try to file complaints after they were stopped by police, but the complaint process was too difficult or complex or they were “blown off” so they did not complete it, she said. Fourth, the settlement requires the city to make complaint forms easier for citizens to complete. The form must be available in a variety of languages. And the city must accept complaints whether they are filed by phone, snail mail, email, or other methods and ensure that staff who accept complaints “are trained not to, and in practice do not, discourage the filing of any complaint.” The settlement prohibits the city from requiring that complaints be notarized, and requires investigators to interview complainants away from police stations unless the person consents to a station interview. The reformation of the civilian complaint process will apply to all civilian complaints, not just those about stop-and-frisk incidents, she said. 16. Refer for investigation any officer who, in a three-year period, conducts four or more stops, frisks, or searches that are not supported by reasonable suspicion or are not properly documented. The settlement signals a city “commitment to its people to break the pattern of baseless, unlawful police stops and frisks and racial and ethnic profiling,” said Jason Williamson, deputy director of the ACLU’s Criminal Law Reform Project. “We hope this sends a message to other cities about the need to advance fairness and equal treatment in policing,” he said in a prepared statement.